At Lakeside Daytona Dentist, we provide our patients with state-of-the-art dental services and we are committed to delivering outstanding patient care. 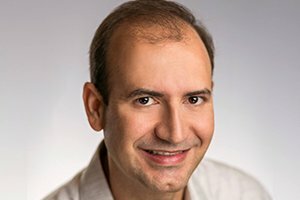 Dr. Silva regularly evaluates and invests in new techniques, materials, and technology that he feels will improve the quality of dental treatment. He is highly qualified in the areas of dental repair, dental emergencies, restoration, and various types of aesthetic and implant surgeries. Our team is constantly looking for new ways to serve our patients better. With a professional and caring staff by his side, Dr. Silva is interested in making an impact within the community by providing high quality, conservative dental care. What can you expect from your Dentist? Lakeside Daytona Dentist provides state-of-the-art technology, the highest quality materials, and the latest innovative techniques to ensure long lasting and superior results. Dr. Silva believes in partnering with you to find the most flexible and beneficial treatment plan possible for your dental care needs. His gentle and compassionate approach has led him to be recognized as one of the most prominent dentists in the area. Before deciding if Lakeside Daytona Dentist is for you, feel free to peruse the many reviews written by satisfied patients who entrusted Dr. Silva with their dental care. As an outstanding general and cosmetic dentist serving Daytona Beach, Ormond Beach, Port Orange, New Smyrna, Volusia County and beyond, Dr. Gladston Silva and his dedicated staff will customize your treatment to meet your dental care needs including: emergency visits, tooth extractions, root canals, veneers, crowns, teeth whitening, dental implants, full dentures, partials and implant-supported dentures. For those of you who experience high anxiety, Dr. Silva offers nitrous oxide or conscious IV sedation for your added comfort. Our goal at Lakeside Daytona Dentist is to give you and your family a life-changing smile. We understand that the quality of your smile can literally change the quality of your life. A great smile can boost your confidence and positively impact your personal and professional relationships as well as improve many other areas of your life. When you wake up in the morning, brush your teeth, and smile, do you like what you see? If you’re not thrilled with your grin, then we want to help you! Our devoted team is here to create and restore stunning teeth so that you can live the happiest and healthiest life you ever imagined. It is our pleasure to provide you with unparalleled dental care. Whether it’s something minor or a complete smile makeover, we are here to provide you with comprehensive dental care. Lakeside Daytona Dentist is committed to giving you the quality dental care and personal attention you deserve. Dr. Silva is a gentle and caring dentist who will treat your most challenging dental needs and put you completely at ease. 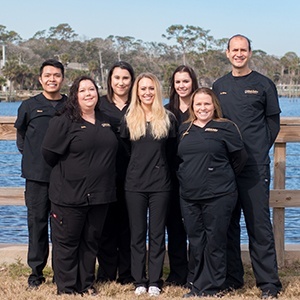 If you allow us to care for your dental needs, Lakeside Daytona Dentist will provide you with the finest preventive, implant, and cosmetic dentistry possible under one roof. 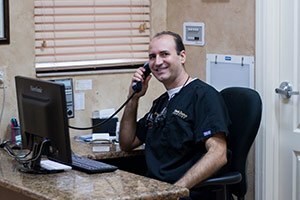 Dr. Silva’s reputation for providing superior dentistry to his patients makes him one of the most trusted and sought after dentists in the Daytona Beach, Ormond Beach, Port Orange, New Smyrna and surrounding areas.